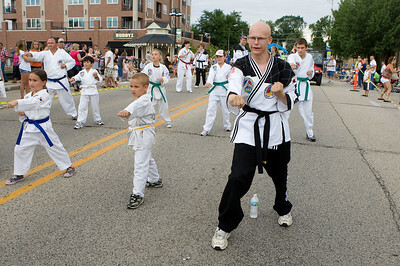 Photos from the Annual Fiesta Days Parade Sunday, July 22, 2012 in McHenry. This year's theme for the event was "Chambers 60th Diamond Anniversary" with floats decorated to suit the theme. Mike Greene - mgreene@shawmedia.com Members of the McHenry Junior Warriors Pom and Cheer perform during the Annual Fiesta Days Parade Sunday, July 22, 2012 in McHenry. This year's theme for the event was "Chambers 60th Diamond Anniversary" with floats decorated to suit the theme. 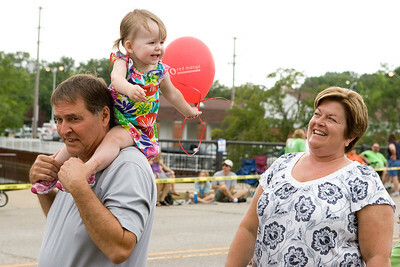 Mike Greene - mgreene@shawmedia.com Annabelle Taylor, 1 of Grayslake, smiles while riding on her grandfather Mickey Gibbard's back as her grandmother Mary laughs before the start of the Annual Fiesta Days Parade Sunday, July 22, 2012 in McHenry. This year's theme for the event was "Chambers 60th Diamond Anniversary" with floats decorated to suit the theme. Mike Greene - mgreene@shawmedia.com John Laskowski, of McHenry, feeds a Sno Cone to his son Nate before the start of the Annual Fiesta Days Parade Sunday, July 22, 2012 in McHenry. This year's theme for the event was "Chambers 60th Diamond Anniversary" with floats decorated to suit the theme. Mike Greene - mgreene@shawmedia.com Members of the Legends Drum and Bugle Corps perform during the Annual Fiesta Days Parade Sunday, July 22, 2012 in McHenry. This year's theme for the event was "Chambers 60th Diamond Anniversary" with floats decorated to suit the theme. Mike Greene - mgreene@shawmedia.com McHenry residents Casey Dougherty (left), 3, Kylies Hatter, 3, and Morgan Dougherty play a game while waiting for the Annual Fiesta Days Parade Sunday, July 22, 2012 in McHenry. This year's theme for the event was "Chambers 60th Diamond Anniversary" with floats decorated to suit the theme. Mike Greene - mgreene@shawmedia.com Serenity Stout, of McHenry, hold her daughter Isabella, 3, during the Annual Fiesta Days Parade Sunday, July 22, 2012 in McHenry. This year's theme for the event was "Chambers 60th Diamond Anniversary" with floats decorated to suit the theme. Mike Greene - mgreene@shawmedia.com Members of the McHenry Community High School Marching Band perform during the Annual Fiesta Days Parade Sunday, July 22, 2012 in McHenry. This year's theme for the event was "Chambers 60th Diamond Anniversary" with floats decorated to suit the theme. 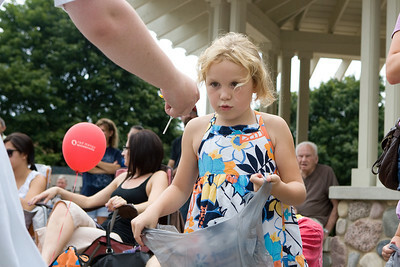 Mike Greene - mgreene@shawmedia.com Alexis Hetterscheid, 6 of Lake in the Hills, watches as a parade member drops candy into her bag during the Annual Fiesta Days Parade Sunday, July 22, 2012 in McHenry. This year's theme for the event was "Chambers 60th Diamond Anniversary" with floats decorated to suit the theme. Mike Greene - mgreene@shawmedia.com Miss McHenry County 2011 Jordyn Butler smiles and waves to onlookers during the Annual Fiesta Days Parade Sunday, July 22, 2012 in McHenry. This year's theme for the event was "Chambers 60th Diamond Anniversary" with floats decorated to suit the theme. 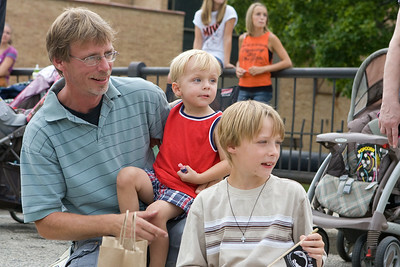 Mike Greene - mgreene@shawmedia.com Joe Jette, of Wonder Lake, watches groups come closer with his sons Zac, 2, and Joshua, 7, during the Annual Fiesta Days Parade Sunday, July 22, 2012 in McHenry. This year's theme for the event was "Chambers 60th Diamond Anniversary" with floats decorated to suit the theme. 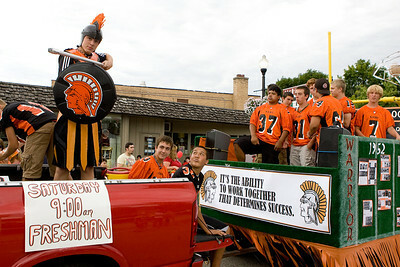 Mike Greene - mgreene@shawmedia.com Members of the McHenry High School football team participate in the Annual Fiesta Days Parade Sunday, July 22, 2012 in McHenry. This year's theme for the event was "Chambers 60th Diamond Anniversary" with floats decorated to suit the theme. 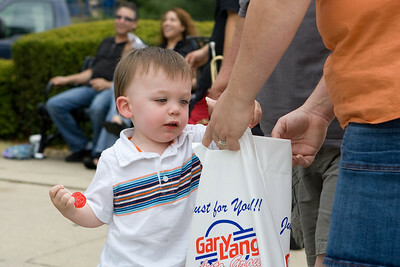 Mike Greene - mgreene@shawmedia.com Matthew Kunz, 2 of Wonder Lake, puts candy into his bag during the Annual Fiesta Days Parade Sunday, July 22, 2012 in McHenry. This year's theme for the event was "Chambers 60th Diamond Anniversary" with floats decorated to suit the theme. Mike Greene - mgreene@shawmedia.com Members of the McHenry Flying Dragons perform during the Annual Fiesta Days Parade Sunday, July 22, 2012 in McHenry. This year's theme for the event was "Chambers 60th Diamond Anniversary" with floats decorated to suit the theme. 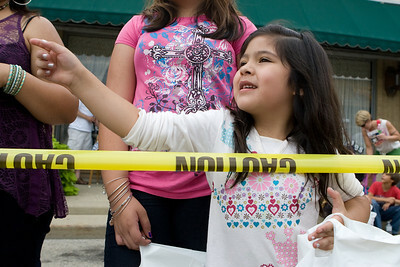 Mike Greene - mgreene@shawmedia.com Ashley Graciano, 5 of McHenry, points at an upcoming float during the Annual Fiesta Days Parade Sunday, July 22, 2012 in McHenry. This year's theme for the event was "Chambers 60th Diamond Anniversary" with floats decorated to suit the theme. 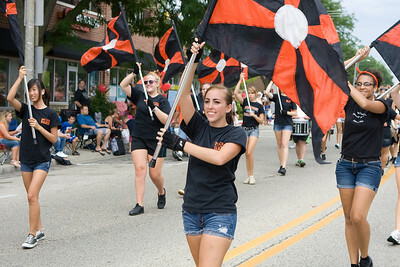 Members of the McHenry Junior Warriors Pom and Cheer perform during the Annual Fiesta Days Parade Sunday, July 22, 2012 in McHenry. This year's theme for the event was "Chambers 60th Diamond Anniversary" with floats decorated to suit the theme.